Warehouses can be tricky to keep organised with items are constantly moving in and out all day, every day. Since warehouses are always so busy, lack of order it can quickly lead to frustration, mess, late dispatch times and disappointed customers. Magnetic C-Profile: Magnetic C-profile is strip of plastic, little clip holders for you to slide labels into. The profile of the strip looks like a square C shape, hence the name. These magnets are quick and easy to use for temporary or permanent signage, labelling or identification. The inserts can be replaced easily whenever you need to change descriptions. You can stick them all around the shelves, cabinets or racks in your warehouse so that you know exactly which item belongs where. They’re perfect for sticking to metal racking and come in long strips or rolls. Display Strips: Magnetic display strips are used similarly to C-Profile, but without the C shape. You simply slot your label between the clear plastic cover and the black magnetic strip. These are much quicker to change than C-profile and so are better suited to warehouses where locations and the items stored in them are constantly evolving. We supply magnetic display strips in lengths up to 500mm. They work with simple paper inserts, making it cost-effective and easy to change the labels. Location Signs: Our location signs come bright colours of yellow and white so that you never have to waste time in the warehouse searching for directions. Their magnetic backs make them a doddle to stick on the end of racks and thanks to their bright colours and size, are easily visible. The sizes available are 100mm x 100mm, 150mm x 150mm and 200mm x 200mm. Magnetic Numbers/Letters: Rather than writing out locations or notes, only to throw away the paper at a later date, you can use magnetic letters to write your messages or signs. They can be used to identify locations, items or even to show instructions. When you need to change the message or even move the label, you just pull them off and stick them somewhere else. The letters come in two different sizes of 23mm and 43mm, in a background of yellow and white. Small letters are more suited to denoting items, whereas the big ones can be used in combination with magnetic location signs or as signs themselves. Magnetic Windows: An alternative to magnetic pockets, are magnetic windows. Each side of the window has a magnetic strip, so the paper is completely covered by the window. This makes them more resistant to dust and dirt than pockets, which do have a small opening for you to remove and add documents. To change the paper behind a window, you simply take off the entire window and place a new sheet behind it. As with pockets, important instructions, announcements and schedules are the ideal documents to display in the windows. They come in a standard size of A3 and A4 and can attach themselves easily to any magnetically receptive surface. Magnetic Tape: Magnetic tape, as noted in other posts, is possibly the most versatile magnet there is. Magnetic tape is perfect for pop-up displays or for putting up signs. They can be used to turn almost anything into a magnet. One side of the tape has an adhesive backing (Standing, Premium or Foam) which the other being magnetic. Simply apply the tape to the object you want to hang (as you would normal tape) and then attach the magnet to the receptive surface. Alternatively, you could use it to hang magnetic objects onto non-receptive surfaces by applying the adhesive face to the surface and then hanging the magnet from the magnetic face. Magnetic tape is available in widths of 12.7mm, 20mm and 25.4mm and in rolls of up to 30m. Hopefully, this post has been useful and educational, highlighting the many products which are suitable for use in warehouse and giving you a few ideas on how you can use them to increase the organisation and efficiency of your warehouse, stock room, or distribution centre. 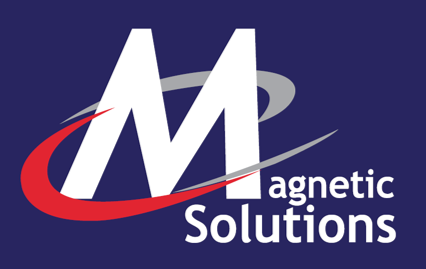 If you have any questions about any of the magnetic mentioned above, or just want to chat about what solutions could suit you, give us a call! Otherwise, you can check out our range of warehouse magnets and identification magnets here.